Live events for Facebook Pages (e.g. Business Page, Fan Page) can be created from Publishing Tools. Please refer to the Facebook Live guide. 3. 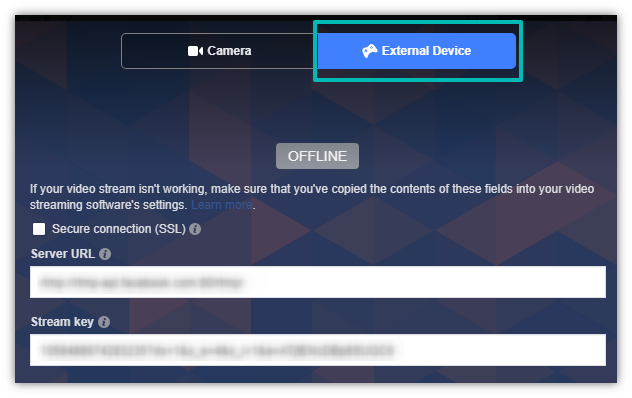 Select External Device. 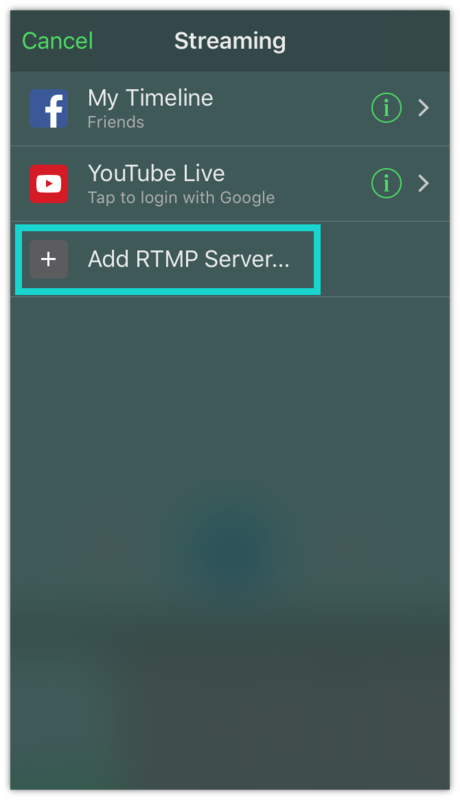 You will see a Server URL and a Stream key. 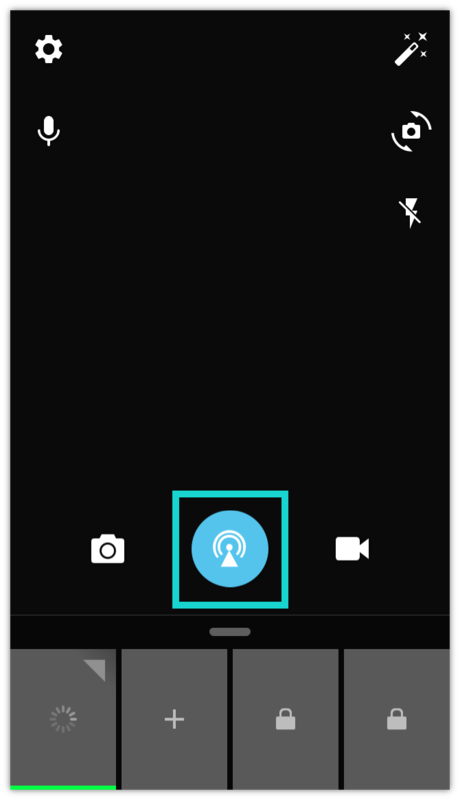 You will need them later to create a custom RTMP server in ManyCam. 6. 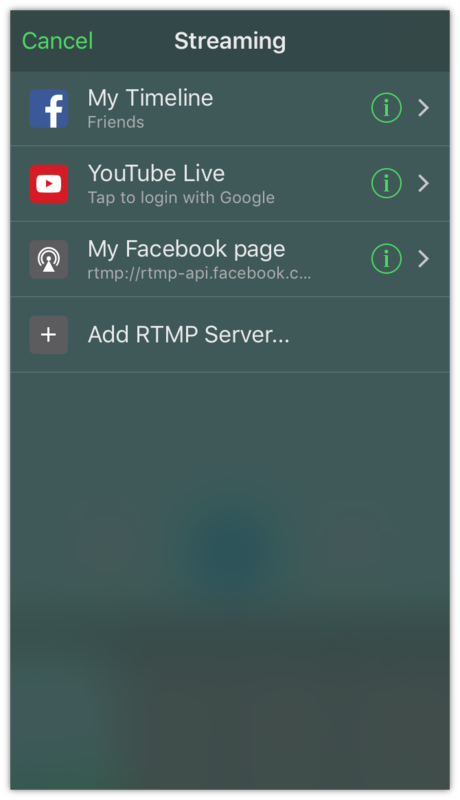 Pick any name for your server and use the stream URL and the key you got from Facebook External Device tab. Username and password are not required. 9. Then go back to your Facebook page and click Go Live. 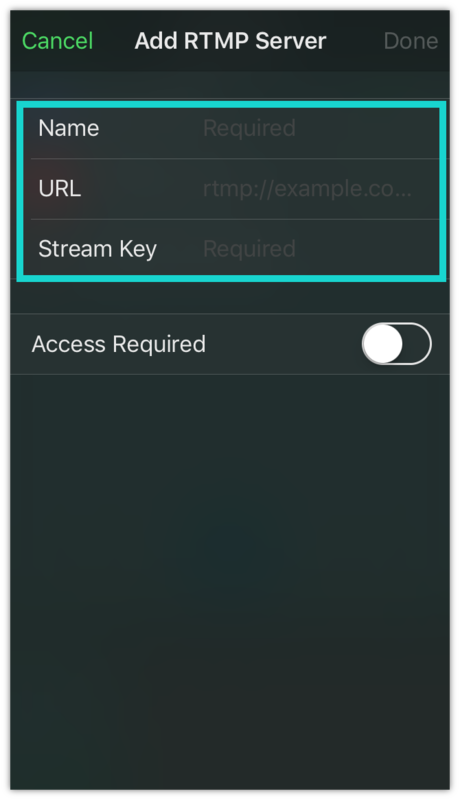 Please note that unless you are using a persistent stream key, you will need to use new stream key for each live event you create. Please refer to the Facebook guide for more information.